In their quest to provide customers the most immersive PC gaming experiences, Lenovo spent time building and listening to a community of gamers to better understand what they value most. 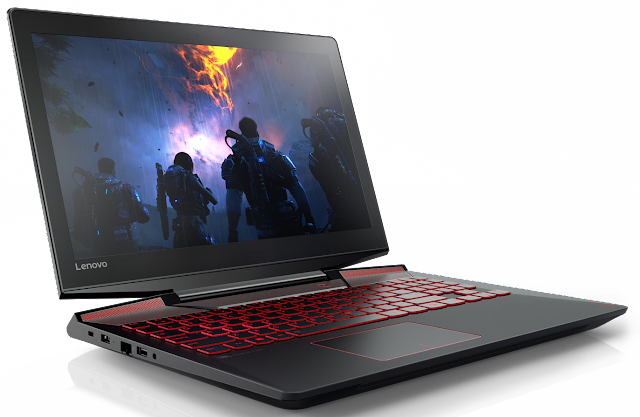 This year, Lenovo is launching a dedicated sub-brand for Lenovo gaming PCs – they call it Lenovo Legion. The new gaming sub-brand offers gamers powerful gaming devices and community engagement. It’s a user experience designed around what they’re passionate about – the most immersive gaming experiences. Just as the Roman army shared a common purpose that bound them together as a force to be reckoned with, Lenovo Legion is all about the growing community of gamers and their passion for gaming. The first Lenovo Legion offerings embody the modern gaming experience, starting with the new Lenovo Legion Y720 and Y520 Laptops – two powerful gaming PCs designed for mainstream and enthusiast players. These products are a result of talking to thousands of gamers and understanding and anticipating their needs. Lenovo Legion is about emboldening our commitment to improving players’ gameplay with state-of-the-art technology so they can fully immerse in the game. Here are five ways the Lenovo Legion Y720 and Y520 Laptops are setting the bar based on gamers’ insights. Just the way your brain brings your senses to life, the graphics and CPU powering your gaming device enable sensory features like the screen and keyboard to seem immersive to gamers. In fact, gamers agree that graphics and processor speed are the top features they value most in their gaming PCs[i]. 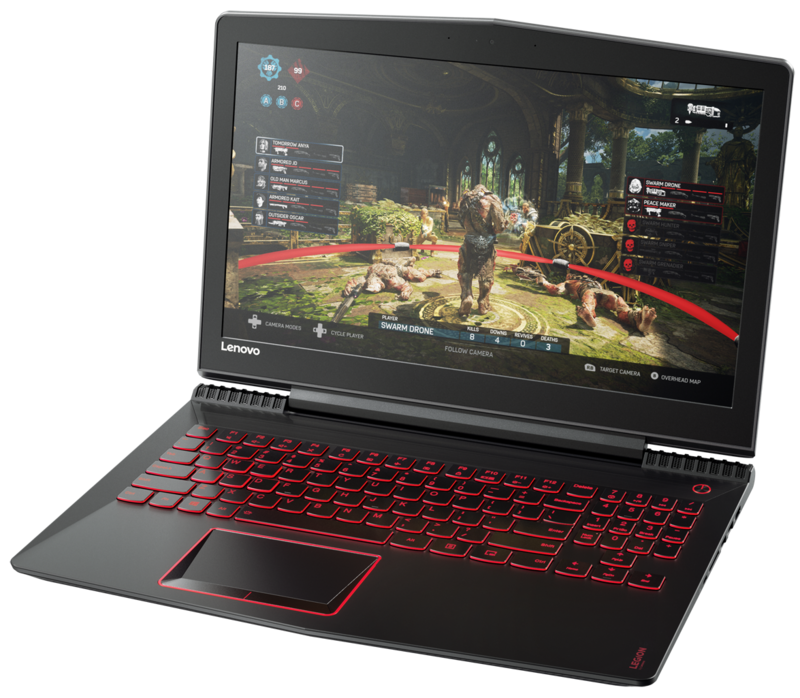 Lenovo Legion laptops are outfitted with up to the latest NVIDIA® graphics cards and Intel®’s latest 7th Gen Core™ i7 processors for the speed needed to win. More RAM also means better gameplay, and boosting up RAM specs delivers that extra edge as the second most desired upgrade based on gamers’ feedback.1 You can run and stream your favorite game, respond to chat questions and play music all at the same time without a hitch – powered by the two laptops’ 16 GB DDR4 memory. Better yet, the Lenovo Legion Y720 Laptop comes with Thunderbolt™ 3, the fastest port available on a PC today[ii] to plug and play at lightening speeds. The lines between reality and virtual experiences are blurring. However, the intersection is becoming crystal clear as virtual reality (VR) becomes the new digital reality. In fact, many industry insiders agree that VR is shaping up to be the biggest gaming trend for 2017. [iii] Built from the ground up, the Lenovo Legion Y720 Laptop with up to NVIDIA GeForce® GTX 1060 graphics is VR-ready, offering truly immersive gameplay. Just plug a VR headset into the HDMI port and you’re set for immersive gaming. Playing to win involves seeing every little detail. Pixelation, screen lag or dropped frames can mean the difference between seeing your in-game opponent or having them see you first. As high quality screen resolution is something gamers demand, we’ve upped the ante by offering up to UHD (3840 x 2160) IPS anti-glare display on the Lenovo Legion Y720 Laptop. But a screen is only as good as the GPU driving it. Gamers know this, and a good graphics card among the top three specs they value most.1 Lenovo Legion laptops are designed for gaming in high resolution and frame rates that make it easy on your eyes – thanks to their latest graphics. For an even more immersive visual experience, connect the laptop to one of our 27-inch Lenovo Y27g Curved Gaming Monitors and see things in a whole new way. Nothing “speaks” more to immersive gaming than being enveloped with sound. In fact, almost half (44 percent)1 of PC gamers bought some kind of new audio peripheral to better their audio gaming experience last year. We designed the Lenovo Legion Y720 Laptop to be the world’s first Dolby Atmos® Windows® based PC. [iv] Dolby Atmos puts you inside the gaming action with powerful, moving audio that sweeps all around and above you with amazing precision and realism. When playing Dolby Atmos-enabled content and using headphones, you can hear the locations of teammates and enemies in three-dimensional space—bringing an enhanced sense of depth and detail to your gaming experience. It makes the game’s world come alive with immersive sound you can feel, from the roar of a spaceship overhead to the crunch of boots on the ground. With sound coming from every angle, you get a tactical edge when gaming on the Lenovo Legion Y720 Laptop. Did you know that most gamers are night owls? That’s right, user research revealed that most gaming takes place between 6 p.m. and midnight.1 That’s why we’ve added an optional RGB keyboard on the Lenovo Legion Y720 Laptop and optional red backlit keyboard on the Lenovo Legion Y520 Laptop – making it super easy to game at night without having to clamber for your keys again. Better yet, the Lenovo Legion Y720 Laptop comes with the option of an integrated Xbox One™ Wireless receiver, which is able to support up to four controllers simultaneously for gaming with friends. The new Lenovo Legion gaming line was born out of our gaming community’s demand for a superior gaming experience. Each product, feature and spec is the result of knowledge gleaned from what our customers want. Lenovo Legion takes gaming to a whole new level of immersive delight, starting with the Lenovo Legion Y720 and Y520 Laptops. Join Lenovo on LinkedIn, follow on Facebook or Twitter (@Lenovo) or visit at www.lenovo.com. [i] Based on Lenovo's 2015 global PC gamer research of 1800 respondents in US, Germany and China. [iv] Based on Lenovo’s internal analysis as of Dec 9, 2016 of PCs using Windows sold by major competitors shipping >1 million units worldwide annually. Requires RS2 update for Windows 10 coming April 2017.